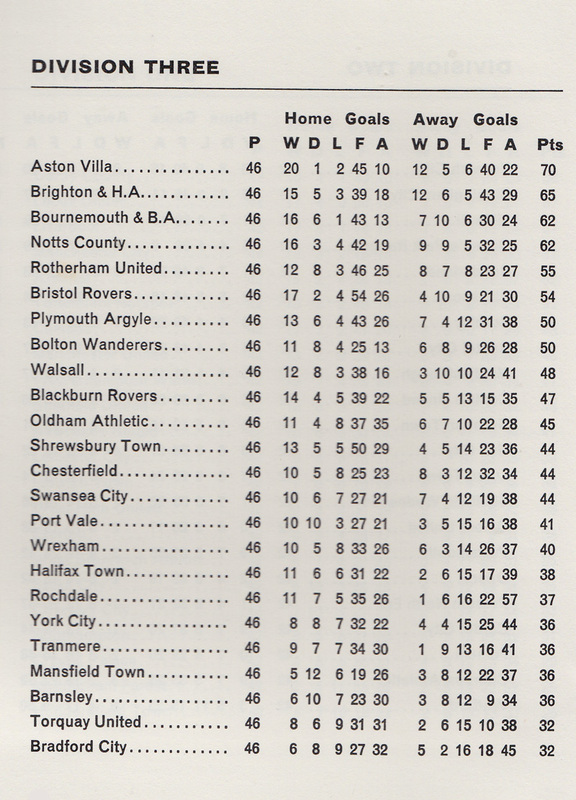 The 1971/72 season had begun well for the side previously known as Bournemouth and Boscombe FC. 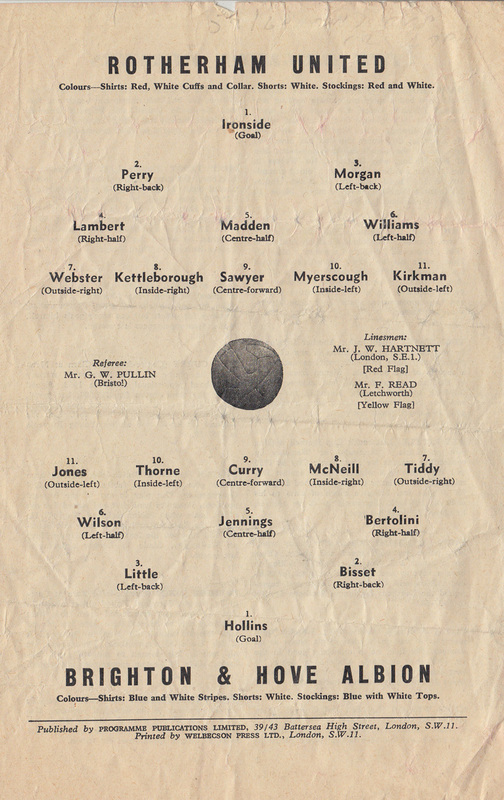 Newly promoted from the Fourth Division, it was a case of ‘Cherries on top’ as John Bond’s men headed Division Three after eleven matches, with 17 points. Notts County and Aston Villa both had 15 while Brighton were well down the table with 12 points. Pat Saward’s Brighton closed the gap when they defeated Bournemouth 2-0 at the Goldstone Ground on 27th December 1971 aided by goals from Kit Napier and Peter O’Sullivan before a bumper 30,600 crowd. Thanks to this score, Notts County, Fourth Division champions the previous season, looked like they might make it two league titles in two when they took over the leadership in the New Year. In a triumph for the new boys, could they and Bournemouth both gain successive promotions come May? The answer was no. 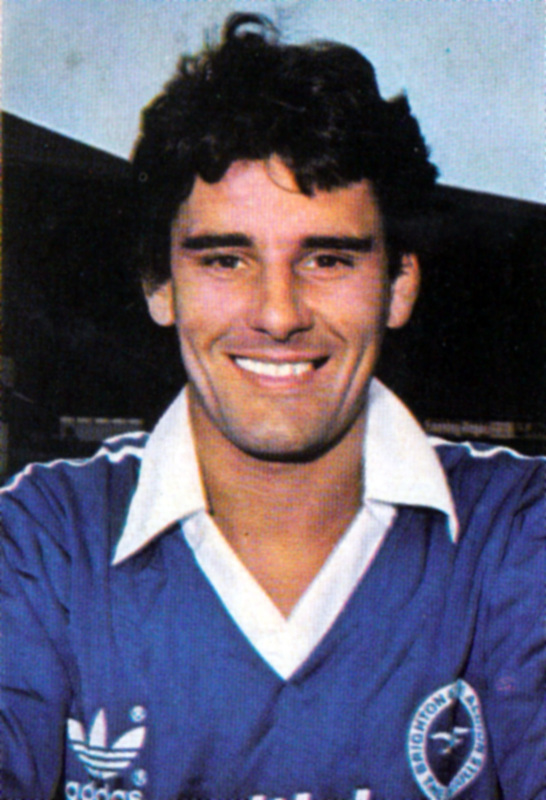 County suffered an injury jinx that put David Needham, Willie Carlin and star striker Tony Hateley out of action, and their results suffered. From the middle of February they drew six and lost two matches in an eight-match winless streak. It cost County dearly. 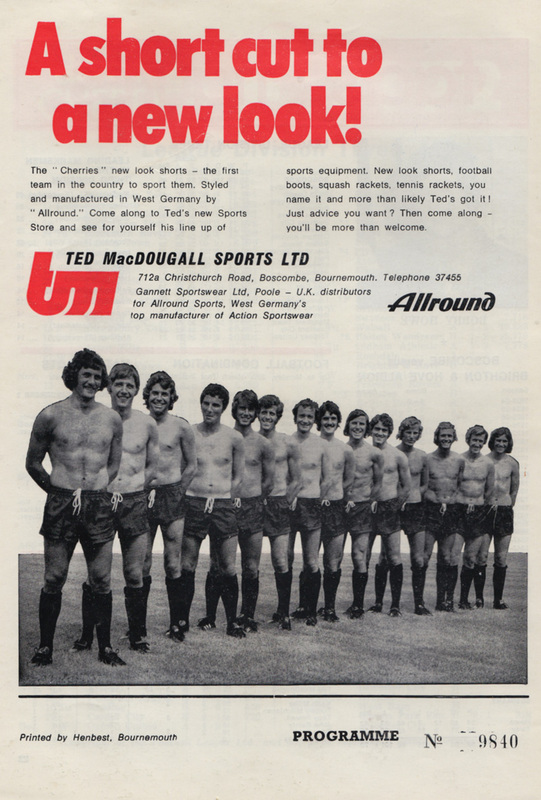 As for Bournemouth, Ted MacDougall, buddied up front with Phil Boyer, was attracting a great deal of interest, and not just for this advert, found on the back of the Bournemouth v Brighton programme! Bournemouth started to quake when the final crunch came. Whatever the reason, Bond’s side could not recapture the consistency and winning form of those heady early days. 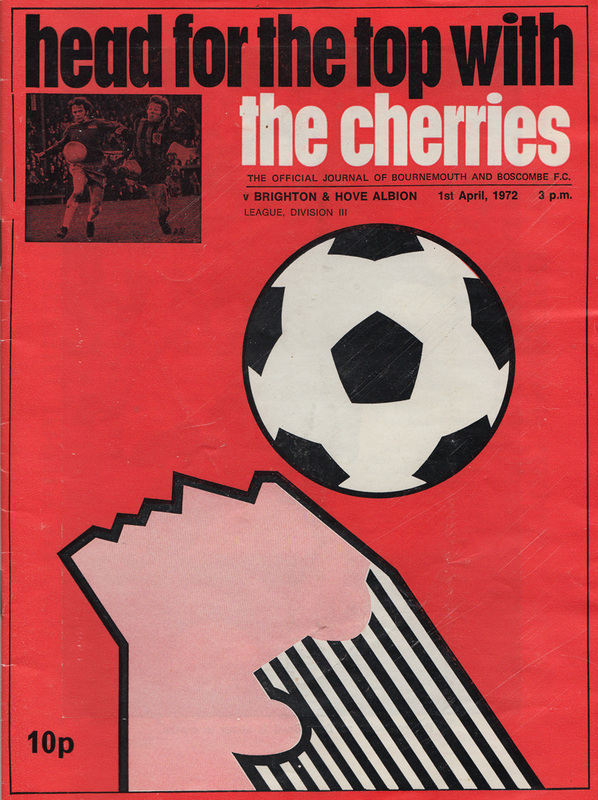 One of the key games was when Brighton went to Dean Court on Easter Sunday. A Bournemouth win could have changed many things, but Brighton drew 1-1. And what of Brighton, the team from the South Coast holiday playground that had laboured too long in the soccer backwaters? Pat Saward agrees that their biggest asset all season was that no one was tipping them for promotion until the final stages: “So we had none of the pressures Bournemouth, Villa and Notts had. We crept up unnoticed and this was our trump card.” But Saward freely admitted: “We had an awful lapse when we lost two games on the trot to Oldham and Bradford City. It came at a bad time and it was make or break from then. 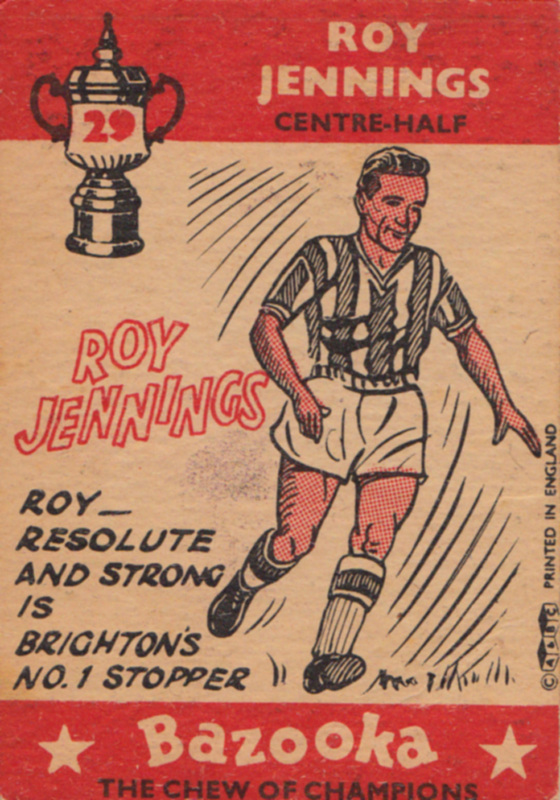 Our next game was against Villa and I made drastic changes.” The television watching millions saw the result… a fine stylish win for Brighton in what must have been one of the games of the season in any Division. Saward played another trump card hours before the transfer deadline. ‘The fans were crying out for new faces but everyone must have thought I had decided to try for promotion with the 14 players I already had.” Agatha Christie could not have come up with a better final and Saward swooped and signed Irish international Bertie Lutton from Wolverhampton Wanderers and a player who must have been an unknown quantity to the Goldstone Road fans… Tranmere Rovers’ Ken Beamish. Beamish is a forward very much in the modern mould. Not big, but stocky and packed full of explosive sprinting power, a terrific shot and great appetite for the game. “They were both last ditch signings and Ken made an astonishing difference,” says Saward. “I spent only £41,000 in getting my promotion side together so we were very much Villa’s poor relations in that sense. 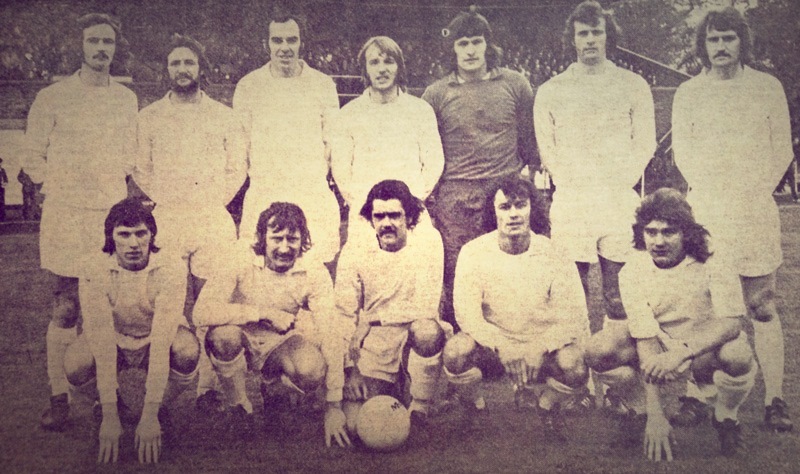 Here is the team photo of amateurs Walton and Hersham, with ex-Albion players Colin Woffinden and Dave Sargent, plus future football manager Dave Bassett in the back row. And, in the front row, if Brighton supporters were not familiar with Clive Foskett at the start of the FA Cup 1st Round replay at the Goldstone, his name would be on everyone’s lips by the end. Back row: Colin Woffinden, Dave Sargent, Russell Perkins, Dave Bassett, Gary Bloom, David Donaldson, Chris Lambert. Front row: Billy Edwards, Dave Morris, Bob Wingate, Clive Foskett, Willie Smith. 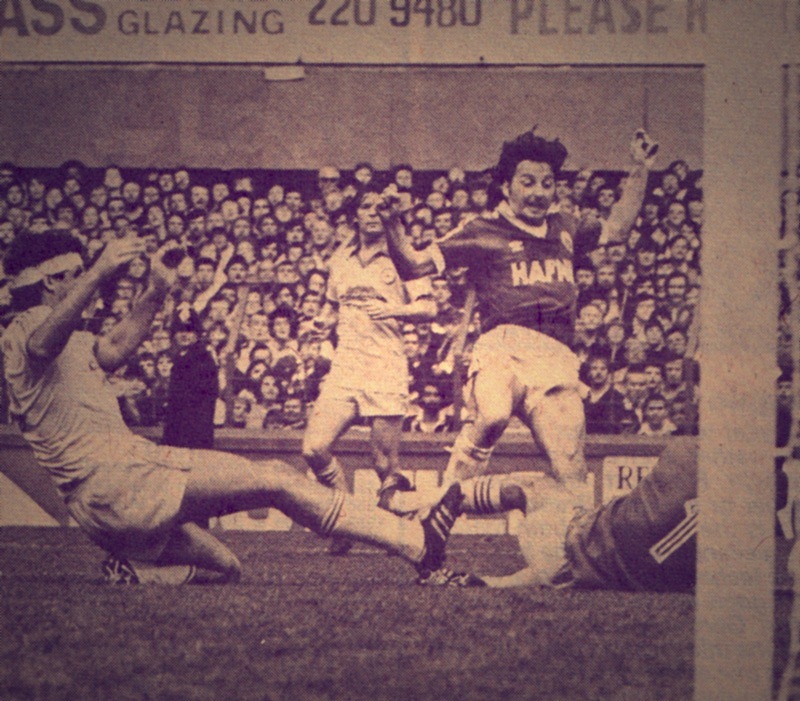 Forty years today, the Argus carried its match report of one of the most shameful displays in the club’s history. Having got lucky in scraping a 0-0 draw in Walton, Brian Clough’s Brighton & Hove Albion contrived to lose 4-0 at home to the Isthmian League side who had won the FA Amateur Cup in 1972/73. The match was played at 1.45pm on Wednesday afternoon as the country’s power crisis meant floodlight use could not be guaranteed. 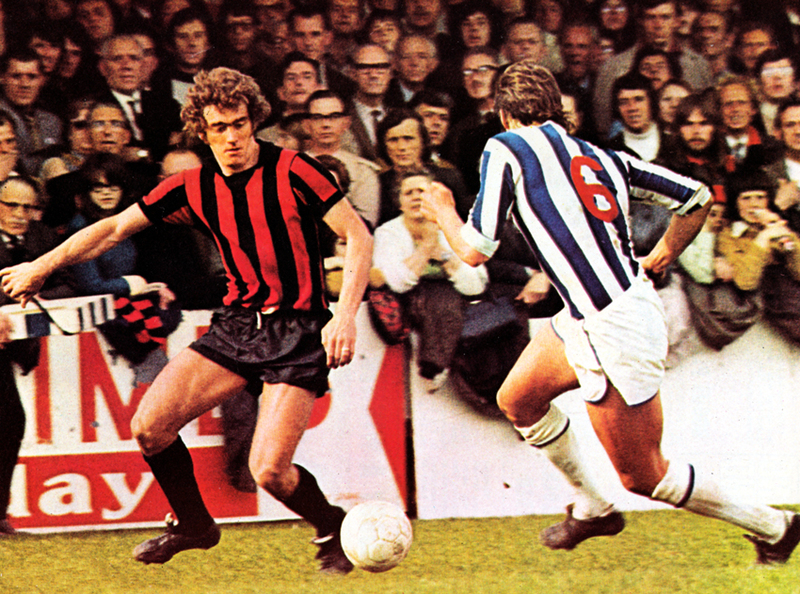 In a piece titled ‘Albion’s worst in 75 years of cup history’, John Vinicombe described the nightmare performance. Read it and weep! Albion’s total humiliation by amateurs Walton and Hersham was the worst defeat suffered by the club since they entered the FA Cup as Brighton United in season 1898-99 [sic]. The manner in which they were swept aside and plunged to a 4-0 First Round replay defeat stunned the 9.857 Goldstone crowd. For Walton’s jubilant fans, who had come prepared for the worst, it turned into a storybook occasion. There was always a feeling of anxiety about this momentous second meeting that began at the unusual hour of 1.45. Albion’s supporters were strangely muted from the start, and the sparsely populated North Stand, without its youthful choir, hardly made themselves heard. 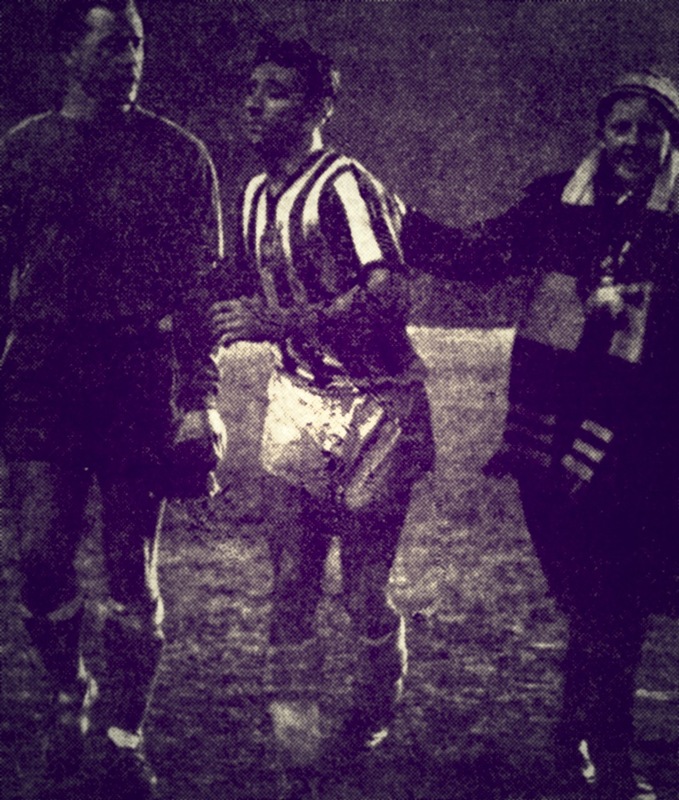 A sense of foreboding gripped the fans when schoolmaster Russell Perkins stooped to conquer after 20 minutes, and the tie turned into nightmarish proportions for Albion when Clive Foskett, a 28 year-old joiner who works at the British Natural History Museum, hammered a hat-trick in the last eight minutes. The result gives Walton a place in the record-books as sensation makers of the first order. But where does that leave Albion? The club have entered into an exciting new era with one of the best managers in the game. Yesterday’s display was too bad to be true. Some players gave everything; others did not. Afterwards Clough betrayed no emotion. He is too well disciplined for that. When he spoke of his ‘poor lads’ it was his way of expressing the deep-felt understanding he has for the position of the professional who is always expected to win such confrontations. The Clough honeymoon is over as he watches the 4-0 defeat with Glen Wilson. What he says privately to his players can only be imagined; the point is that with such a small staff there is not a lot he can do right now. 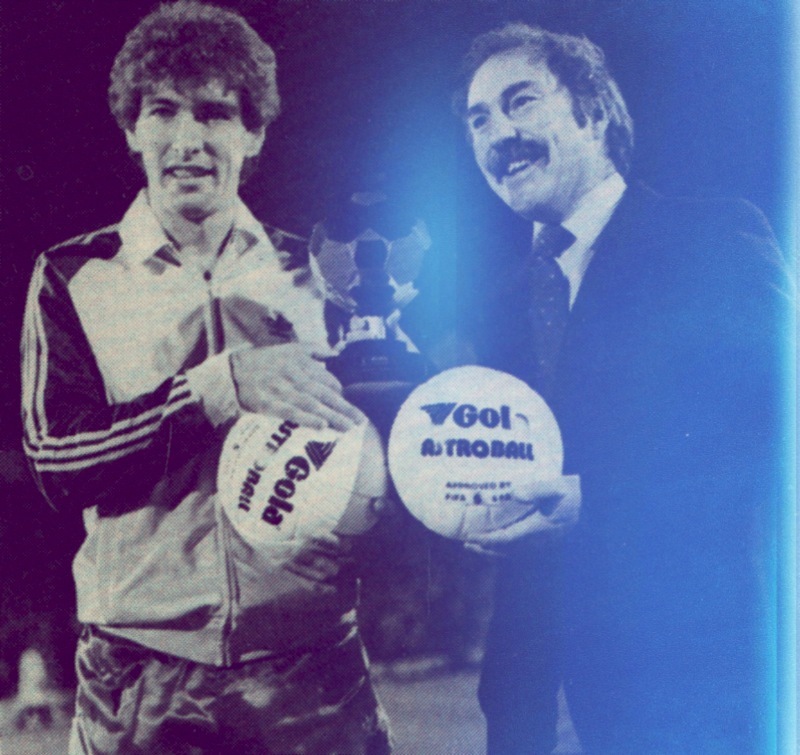 Until Clough and assistant Peter Taylor move permanently to Brighton, the full impact of their presence will not be felt by the players. The side have yet to score at home under Clough. 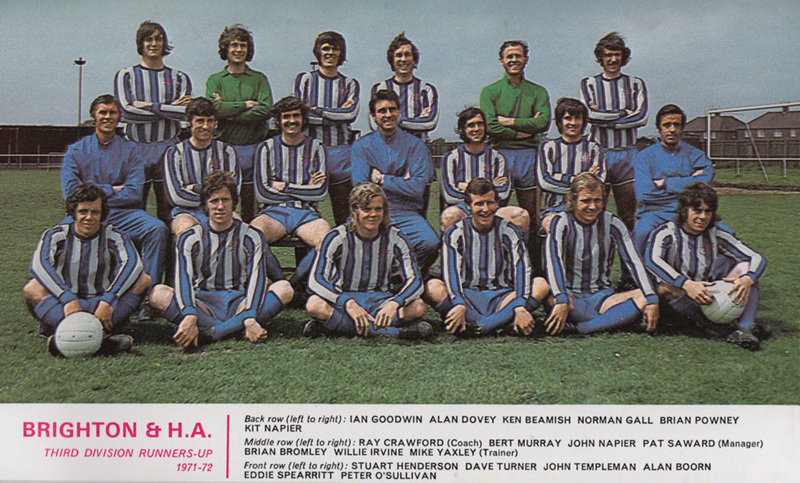 When Albion were without a manager for a short time, they hammered Southport 4-0. That was just over a month ago. Is there some sort of moral here? Has the arrival of a man so steeped in success, and possessing such a reputation, suddenly caused the players to seize up? A goal blight of 270 minutes at the Goldstone is a curious state of affairs, and in the context of this debacle pinpoint the structural weaknesses of the side. 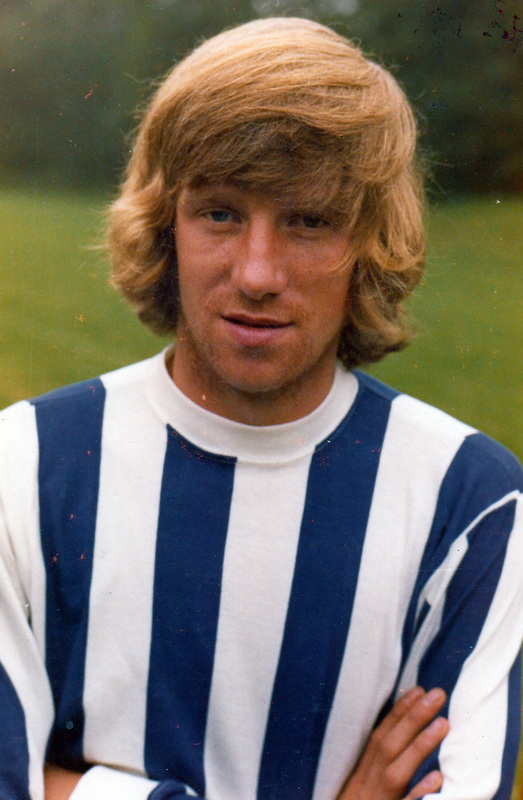 Albion lost to Walton primarily because the midfield was wanting, while up front only Tony Towner, the substitute, provided the sort of service that wins matches. Pat Hilton did all that could reasonably be expected of him, but elsewhere were performances that must have brought an angry blush to Clough’s cheeks. 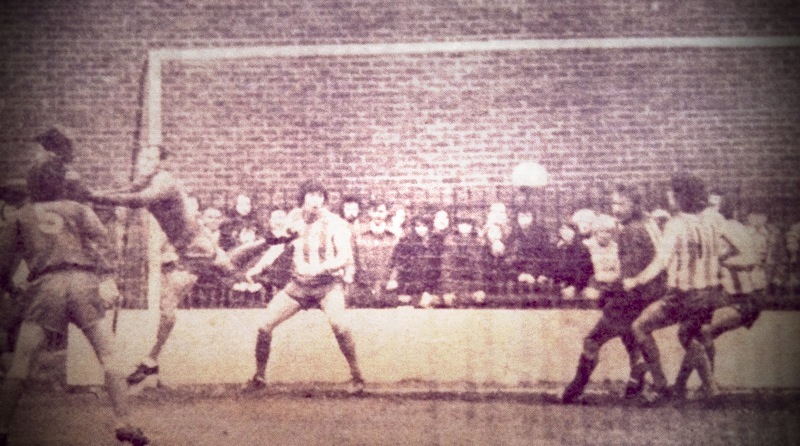 The dramatic Foskett hat-trick came at a time when Albion were pushing numbers up in a frantic attempt to equalise. They had more of the game territorially than Walton, but failed to use the ball as well. In midfield they were outsmarted. Only in terms of fitness were Albion superior, and they relied too much on running Walton off their feet. The turning point came early in the second half when Barry Bridges just failed to divert a loose ball past the heroic Gary Bloom. Albion never went so close to scoring again, despite a stream of flag kicks. Walton and Hersham goalkeeper Gary Bloom misses a cross, as Barry Bridges just fails to score at the near post. Yet only minutes before hand Foskett had missed an open goal. He blamed himself afterwards and seemed more concerned about that mistake than basking in the glory of a hat-trick. Foskett has not enjoyed much of Walton’s limelight. He was on the substitute’s bench at Wembley at the end of a strange season that saw him score 23 goals before Christmas and then lose his edge completely. 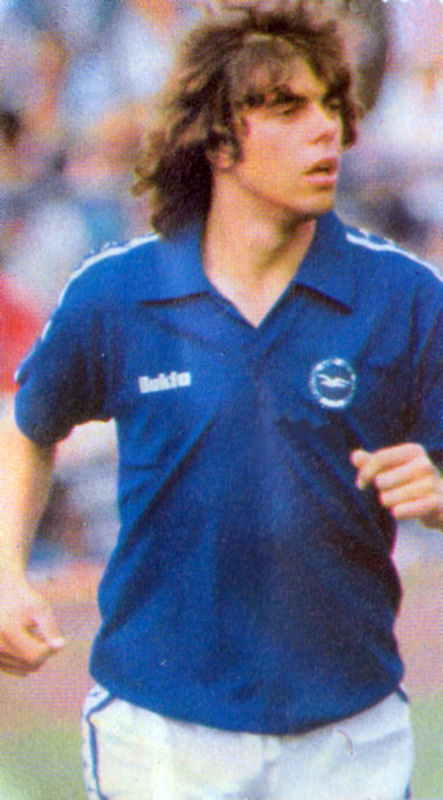 His goals, demonstrated perfect versatility, two with the right foot, the last one from the left foot. Albion were hit by a thigh injury to Stephen Piper ten minutes from the interval. There is little doubt Towner would have come on anyway, but Piper’s loss weakened the defence. Eddie Spearritt switched to partner Norman Gall, Peter O’Sullivan moved to the left-wing, and Bridges slotted into the midfield. 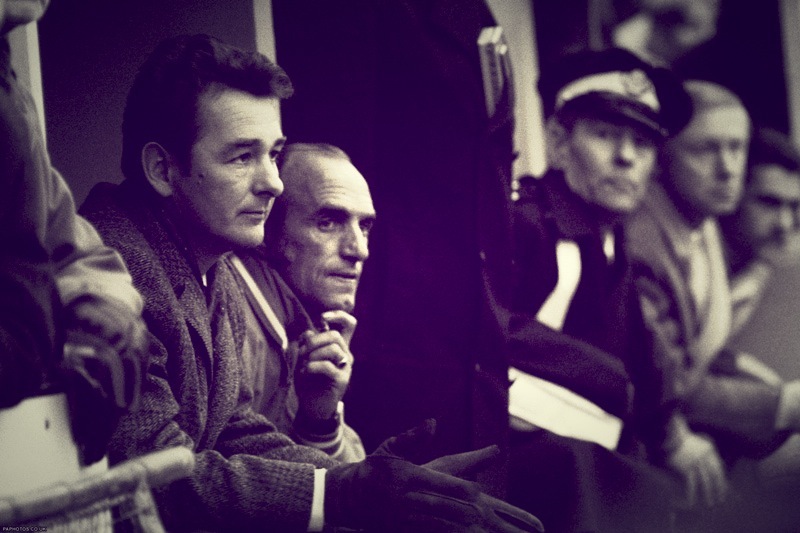 The grim message for Albion is that Clough has a monumental task ahead. Realist as he is, there can be no illusions on yesterday’s score. Perhaps it is a blessing in disguise. Twenty minutes: Smith’s corner was flicked on by Lambert. Powney failed to make contact and Gall was the wrong side of Perkins who got down like an old man with lumbago to head the simplest of goals. 0-1. Eighty-two minutes: A long ball out of defence caught Albion upfield. Walton had Foskett and Perkins haring through the middle, and with Powney unprotected, Foskett scored from a precise Perkins pass. 0-2. Eighty-four minutes: The same long ball caught Albion napping again, this time it was Smith who put Foskett away to crack a beauty. 0-3. Eighty-nine minutes: Just to show it was no fluke, Foskett broke away again. The long ball came from Morris, and away went Foskett to drill in his best goal. 0-4. Albion: Powney; Templeman, Ley, Spearritt, Gall, Piper, Bridges, Howell (R), Hilton, Robertson, O’Sullivan. Sub: Towner for Piper (injured) 35 minutes. Walton and Hersham: G Bloom, D Sargent, C Lambert, D Donalson, W Edwards, D Bassett, C Woffinden, W Smith, R Perkins, C Foskett, D Morris. Sub R Wingate. Referee: Mr GC Kew (Amersham). 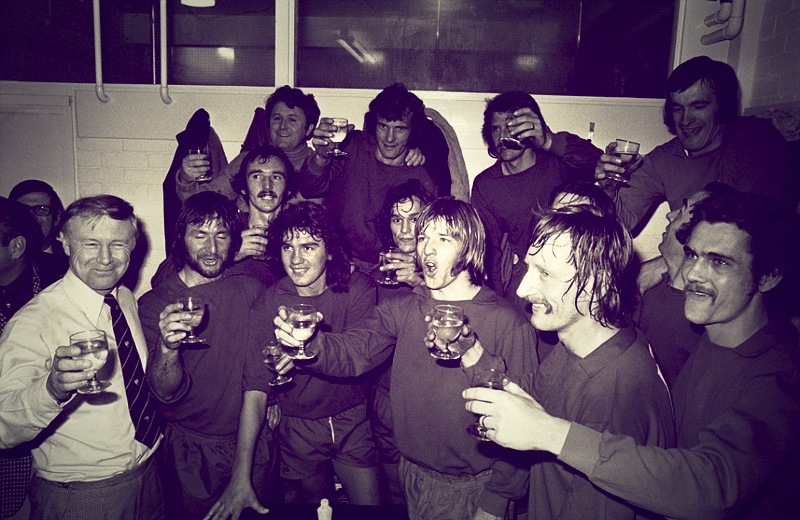 ‘I was involved in a first round FA Cup tie against mighty Walton and Hersham! A bunch of bloody amateurs, and they beat us 4-0. I’ve had some bad days in football but that must have been one of the worst. He won’t know it until he reads this, or until a pal reads it and tells him, but comedian Eric Sykes had never been in greater danger of a smack in the mouth than he was that day. I think he was president of the Walton club, or at least held some position there. Anyway, he was perfectly entitled to feel chuffed, having seen the little team of nobodies produce possibly the greatest result in their history and one of the big Cup upsets of the day. 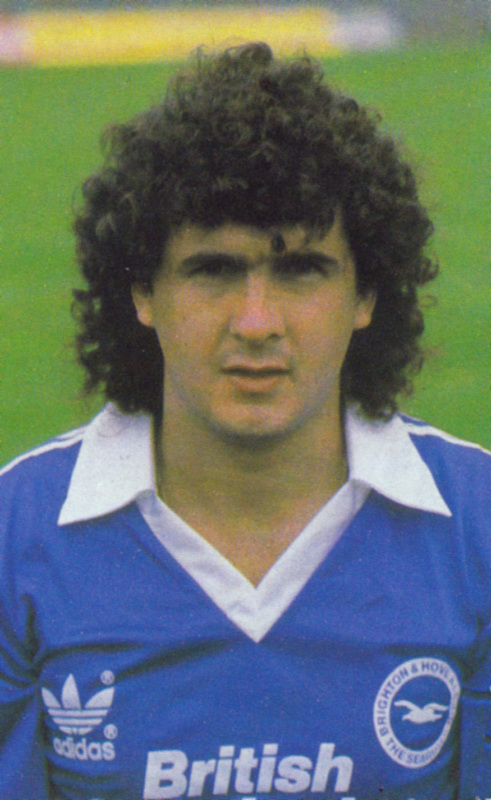 Mickey Thomas’ love-affair at Goodison Park lasted less than four months. He signed for Everton from Manchester United in July, and in early November was sent packing by Howard Kendall for refusing to play in a reserve team game. Thomas is now settling to life at Brighton following a £400,000 move. The row that saw Thomas make a controversial exit from Goodison Park erupted when Kendall asked the Welsh international to play for the reserves. Thomas had missed two games with a hamstring injury and Kendall wanted him to prove his fitness before putting him back in the senior team. “I told the manager that I had never done that before and I wasn’t about to start,” says Thomas. Thomas did not play for the reserves, and Kendall, with a no-nonsense approach, showed him the door. “He made it plain that I had no future at the club,” says Thomas. A lot of harsh things were said by both parties after the two had gone their separate ways. Thomas was reported to have muttered that forgetting Everton would not be too difficult because he had not enjoyed himself at the club. “I didn’t say that,” storms Thomas. “I love Everton. I stood on the terraces as a boy and watched them. It was like a dream come true when I signed for them from Manchester United in the summer. “What I said was that Everton were a part of my past, and I had to get on with the job at Brighton now. “I didn’t get on with Howard Kendall, but that’s a different thing. “I never knew where I stood with him and I don’t think I was alone. I think he wanted to sell somebody around the time that I was pushed out and I gave him the excuse he needed. I’m sorry about that. The Kendall/Thomas row could not have come at a better time for Mike Bailey. He wanted to balance the left-side of the midfield at Brighton and Thomas fitted the bill perfectly. “He’s building a team quite capable of living with the best. ‘My problem now is settling again. I had just bought a house on Merseyside which we hadn’t moved into. Thomas is determined to knuckle down and prove that Everton were wrong to let him go. “It’s a big challenge. The set-up at Brighton is nothing like it was at Goodison, but it’s a friendly little club and the South Coast is a lovely place to live,” he says. The absence of Mike Thomas from our side last Saturday may have surprised many of our supporters. I can appreciate that it must have been difficult for our fans to follow the Thomas affair in recent weeks, so perhaps a few words of explanation about events of last week might not go amiss. In truth, since we agreed to put Mike on the transfer list he ahas been training regularly with everyone else and things seemed to be going quite OK. Indeed, Mike’s performances on the field had been very encouraging. However after the Easter games the lads were given two days off and told to report back on the Thursday. We received a phone call from Thomas’ wife a day later to say that he was ill. If the call had been received on the Thursday I might have understood but he should have been at the Goldstone on that day and wasn’t here. Prior to that, after the Arsenal match, he had asked permission to return to North Wales for his son’s birthday with permission to report direct to Aston Villa on the Monday. This he did and after the match he again returned to North Wales. We feel that we have gone out of our way to help the player and allow him to settle his domestic affairs but now I feel we have been completely let down and for me… enough is enough. This interpretation is challenged by Thomas in his autobiography ‘Kick-ups, Hiccups, Lock-Ups’. He blamed Brighton for plying him with drinks to get him to sign for a club he didn’t wish to join and, rather than domestic strife, suggested that going AWOL was merely a tactic to force the club’s hand into releasing him. 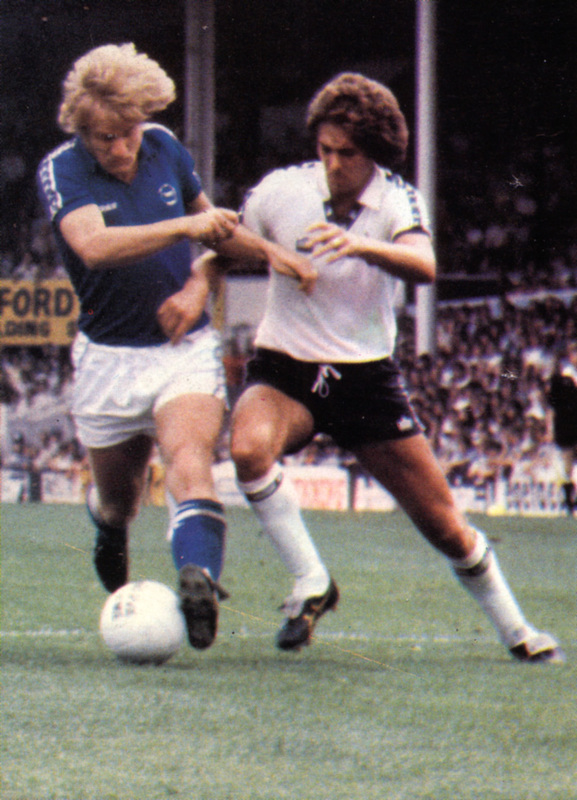 The advantage was that the Seagulls could maintain their home colours (albeit not their home kit) on away trips to Southampton, Sunderland, Stoke and Crystal Palace in the Second Division in 1977/78. 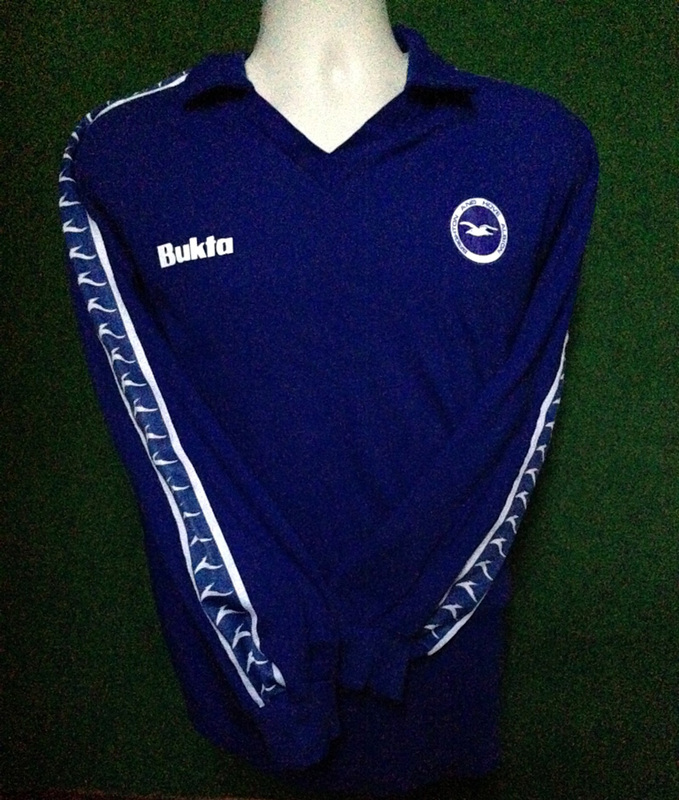 The downside was that it necessitated that Bukta supplied Albion with the extravagance of a third kit, with red shirts, for matches at the likes of Oldham and Millwall. This blue number was very smart indeed, with the white Buks down the sleeves looking rather like the white seagull on the new round crest. It made its debut on the opening of the league campaign, at the Dell, for Brighton’s well-earned 1-1 draw with Southampton. 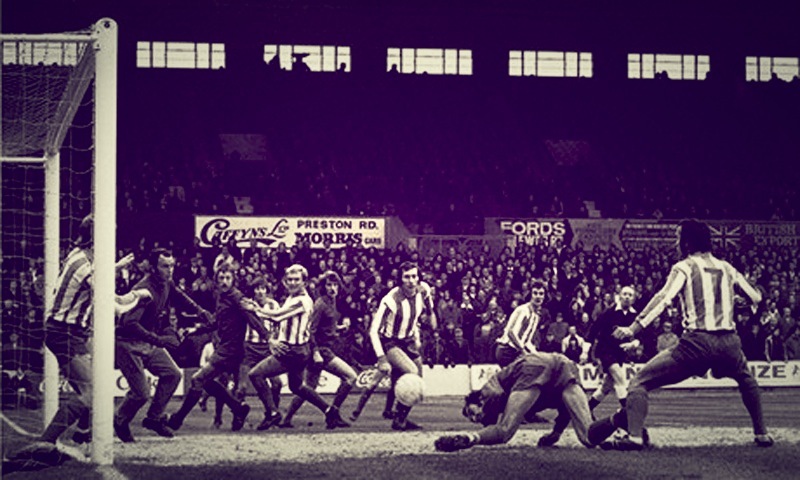 By the time of Albion’s match at Sunderland on 1st October 1977, Peter Ward had hit a rich vein of goalscoring form, with four goals in three matches. 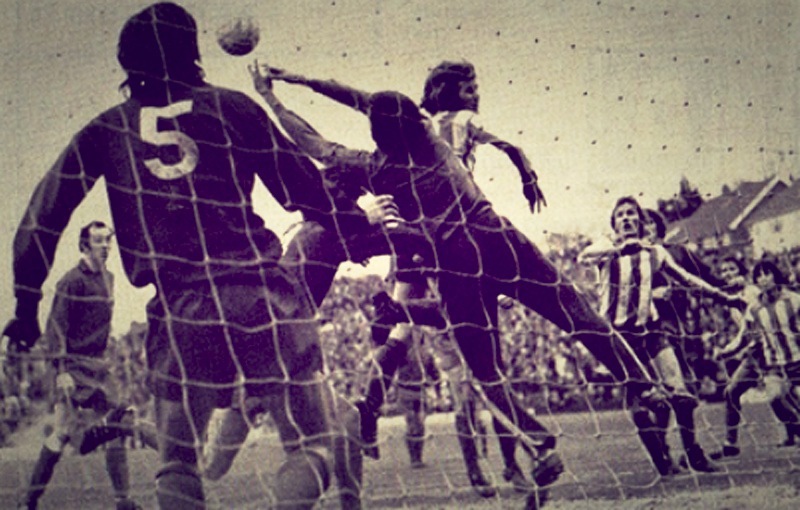 The strike made the score 2-0 and put Albion on top of Division Two, at the time the highest Football League placing in the club’s history. 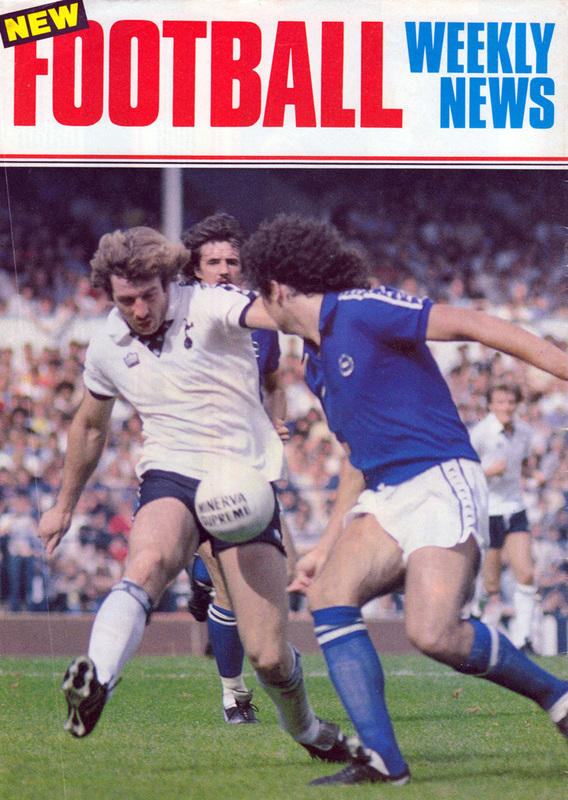 By the following month, the blue away kit was worn, strangely, with white shorts and red socks for the famous 0-0 draw with Tottenham Hotspur in November 1978, in front of 48,613 fans, still Albion’s highest ever league attendance. Hate to say it, it made us look like Portsmouth, although we were far, far better than the Pompey side of that time! 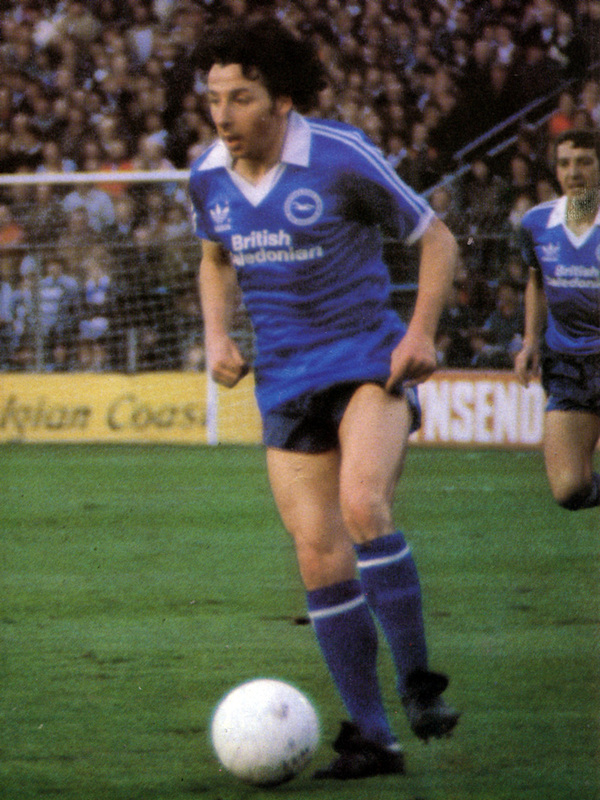 In the summer of 1980, Adidas had taken over the deal for supplying Brighton’s kits. 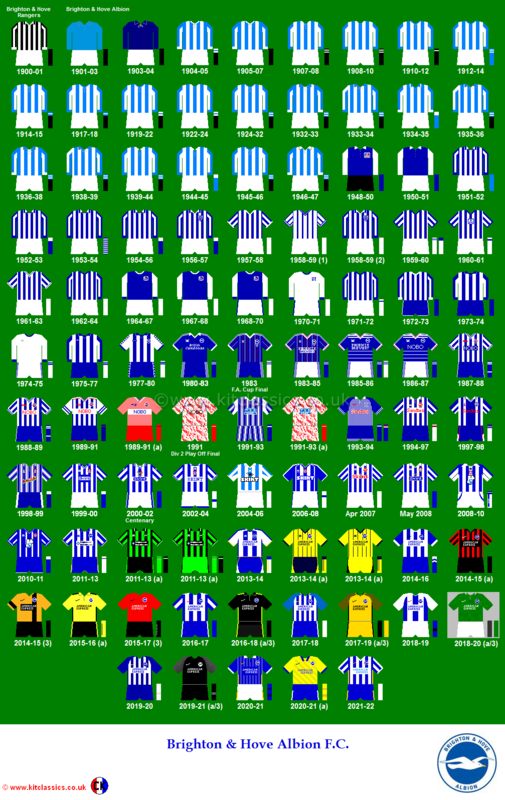 After three seasons, the blue Bukta away shirt was no more but the spirit of it lived on: the new Albion home shirt was a plain royal blue jersey. It was the second hat-trick of Smith’s career, having scored three of Rangers’ six against Aberdeen two years previously. 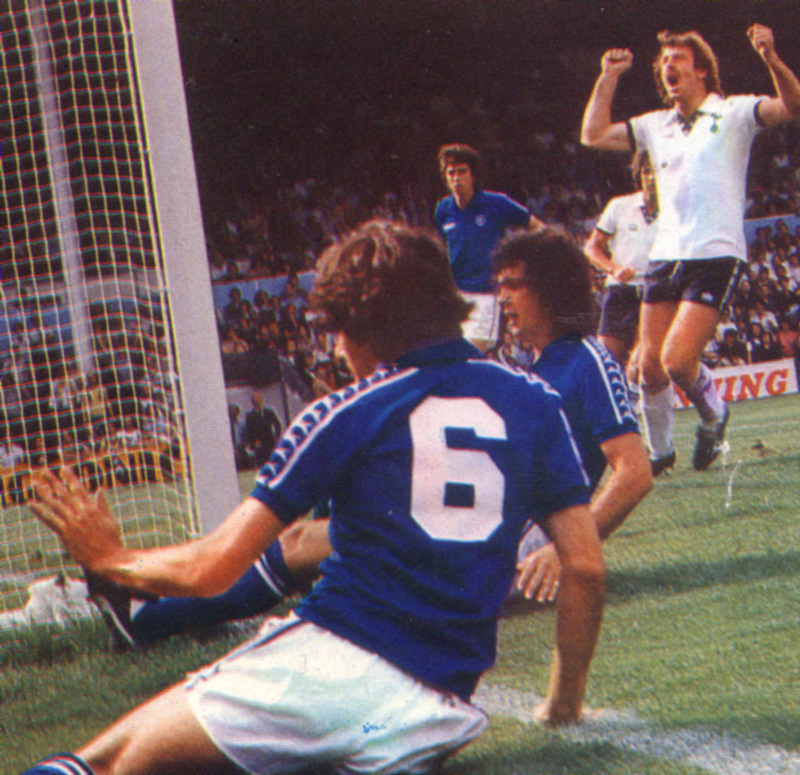 It was also Albion’s second ever hat-trick in the top flight, following Peter Ward’s three at Molineux in 1979/80. The result at Highfield Road, in front of just 11,462 supporters, seemed rather unpromising when Coventry raced to a rather flattering 2-0 half-time lead. 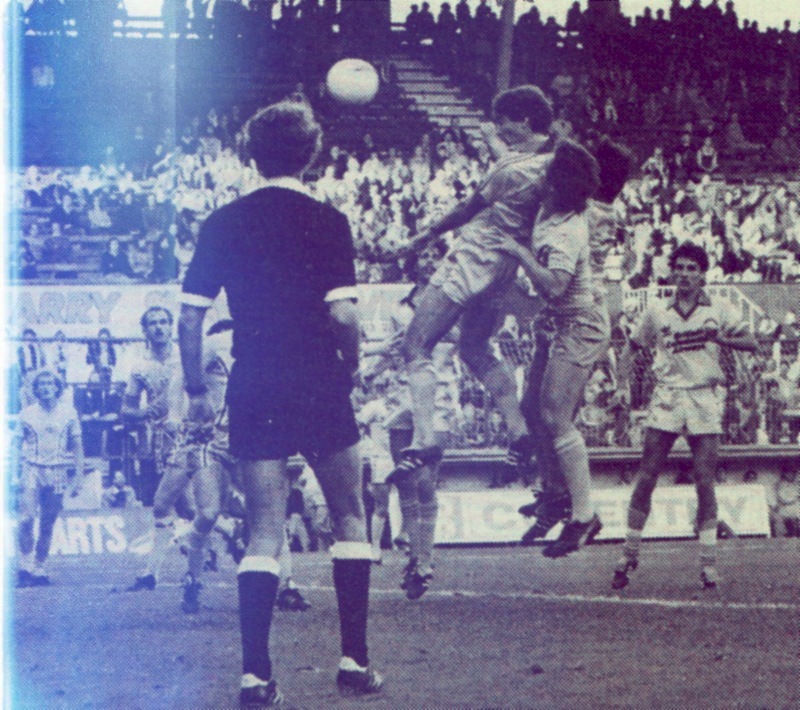 At the far post, the unmarked Paul Dyson had nodded in Tommy Hutchison’s drive to give the Sky Blues the lead. 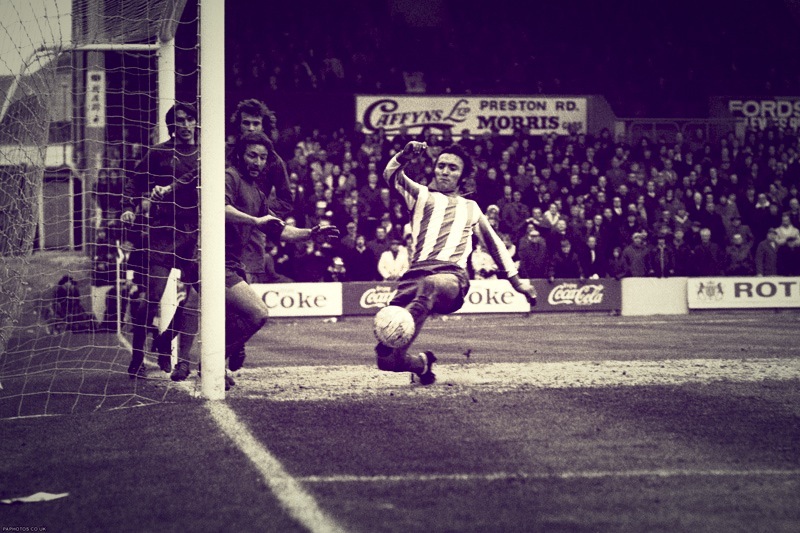 Then, just before the interval, a lay-off by Mark Hateley set Garry Thompson up to curl a beautiful 20 harder past Albion keeper Graham Moseley. In the second half, Steve Hunt capitalised on a Mark Lawrenson mistake to set up Hutchison for Coventry’s third. Game over… or was it? Coventry, in front of their smallest crowd in the First Division reckoned without Brighton skipper Horton. He drove his men and fashioned things for the mighty Smith to finish off. The first goal came when Horton slid the ball to Smith to score with Coventry’s defence in a mess. Then Dyson was beaten by Ward and there was Smith to finish the move with goal number two. With the match almost over, Williams floated a free-kick over to the far post and Smith went up amid a clutch of Brighton players to score. The equaliser! And Smith does score. The people of this area have been accused in the past of being negative – but now it seems to me that people are making ridiculous excuses to justify their own apathy and defeatism; thankfully, not everyone feels the same way, but having read today’s Evening Argus, I felt I had to let you know that SOME people remain, and intend to remain, loyal Albion supporters. 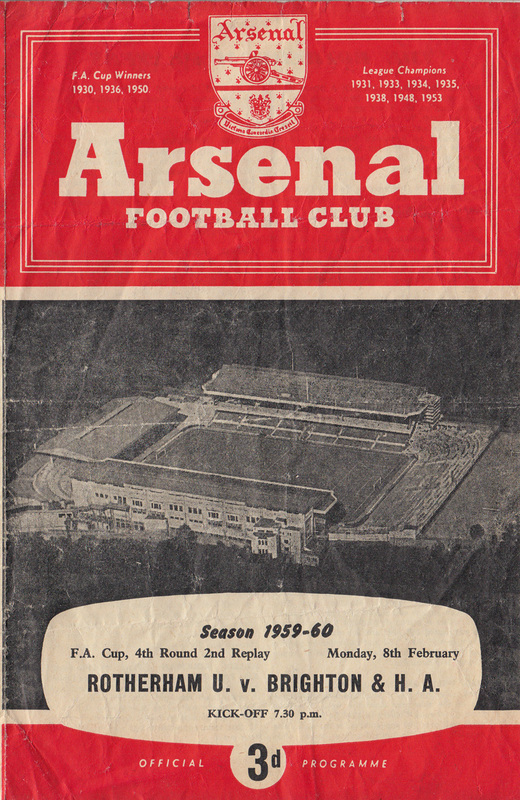 I have followed the club since the late 60s – even then, in my early teens and with the value of money as it was, if anyone had promised me Division One soccer at the Goldstone for £2.00 per match, I (and others no doubt) would have considered it cheap at the price – but how some people can forget how far we have come so soon baffles me as I’m sure it baffles you. Although currently unemployed, I managed to afford a Terrace Season Ticket this year, and have no difficulties or worries about taking my eight-year-old godson along when he wants to come. Those people who are full of excuses about inflation, hooliganism and other largely mythical evils, are in my opinion, beneath the contempt of genuine supporters -and there are 12,000 of us at least. Obviously we’ll have a moan sometimes (unlike many of the team’s and manager’s stay-away critics, we’ll have earned the right with our £2.00) but we’ll BE THERE and probably as frustrated as you at all the people who aren’t. While I am writing, perhaps you could convey the best wishes and appreciation of my friends and myself to John Gregory. His decision to stay with the Albion was a great thing for the club and we hope he will play for us for many seasons to come; unlike some so-called supporters on the SW Terraces we think we recognise a player of First Division class and quality when we see one! (And the next Captain, perhaps?) Keep up the good work. 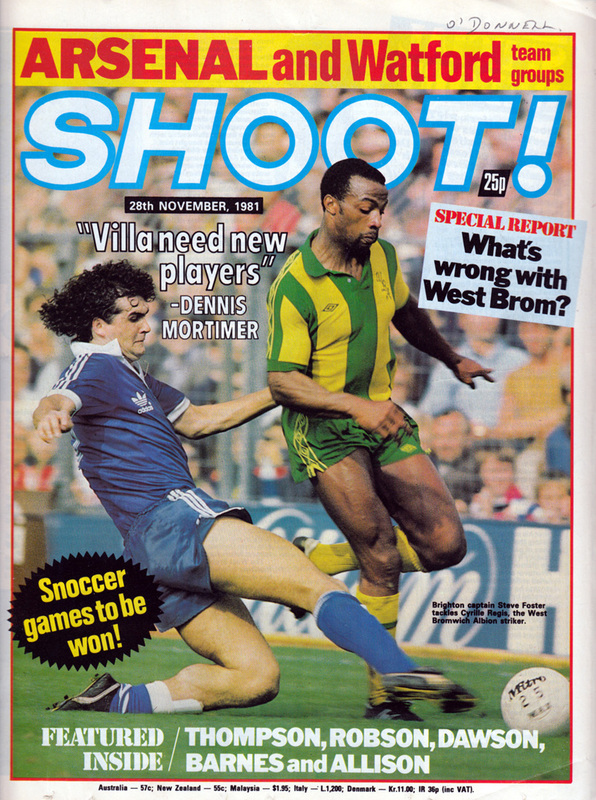 The novelty of First Division football had appeared to wear off for many Albion supporters in 1980/81 as they faced up to the reality that Brighton were no longer almost invincible at home. The drop in attendances at the Goldstone was sharp. 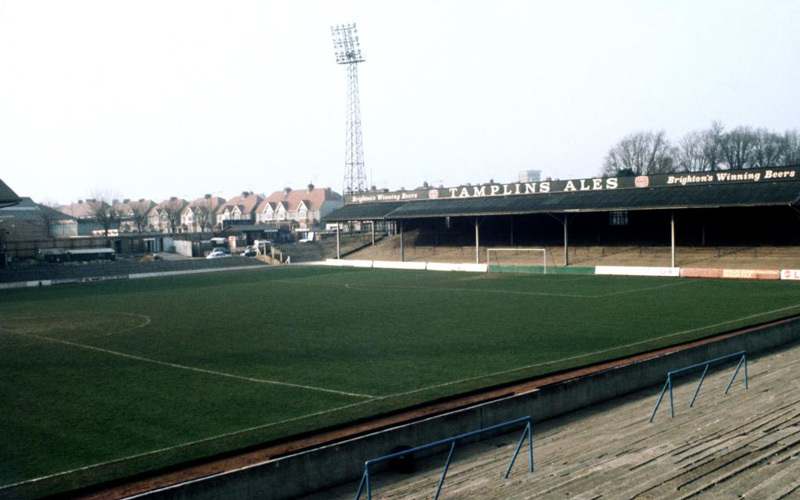 For example, in 1979/80, when Brighton played Middlesbrough, Ipswich and Manchester United at home, the gates were 20,427, 23,608 and 29,670. 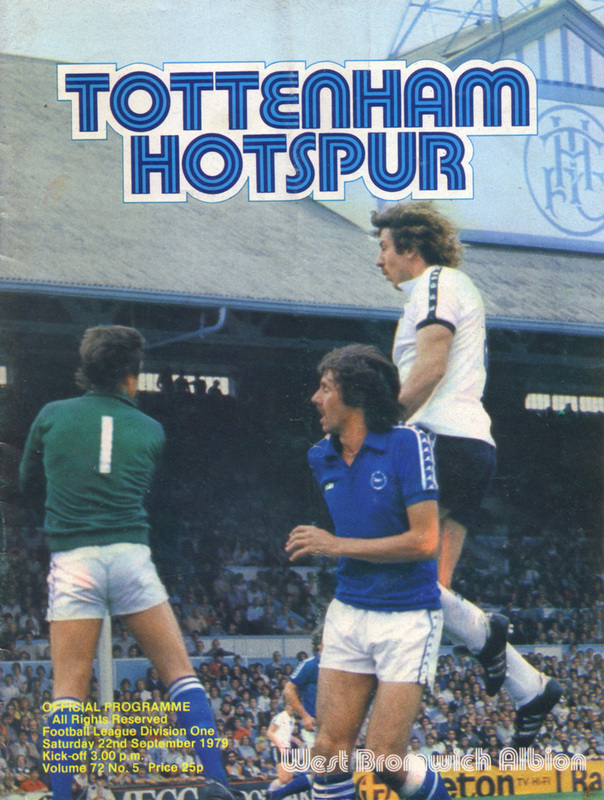 When they played the same opponents in 1980/81, in November, home attendances fell to 12,112, 17,055 and 23,277 respectively. With such a massive decline in gate receipts, it was no surprise that Albion could not hold on to players of the calibre of John Gregory for much longer. This was especially after the substantial outlay at the start of the season. The financial bubble was about to burst, and Albion would need all the loyal and resilient supporters it could get.